Israel’s highest leaders have never officially and publically admitted to having an arsenal of nuclear weapons, which are believed to be held as a deterrent and have never been used in combat. 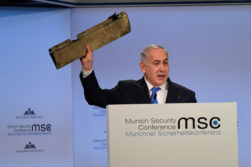 However, with the Iranian regime threatening to wipe out Israel while angling for nuclear weapons of their own, Israeli Prime Minister Benjamin Netanyahu made a strong—if intentionally vague—defensive threat of his own. Speaking at a ceremony renaming a nuclear research center in honor of former President Shimon Peres, Netanyahu warned Iran and noted, “Whoever threatens us with destruction puts himself in similar danger, and in any case will not achieve his goal.” That sounds similar to the “mutually-assured destruction” doctrine held by the Russians and the United States during the Cold War, in which both sides effectively had the capability of destroying the opposing side with nuclear weapons, thereby deterring both nations from deploying the nukes. Bottom Row (L-R) Dr. Noor Saadi and Professor Beloosesky. Photo credit: Pioter Fliter, RHCC. One of the fruits commonly associated with the nation of Israel—pomegranates—could be a key to reducing pregnancy inflammation and brain damage to newborn babies, according to an Israeli research group who has tested the theory. Professor Ron Beloosesky, Director of the Prenatal Ultrasound Unit in the Division of Obstetrics & Gynecology at Rambam Health Care Campus in Israel, said in a press release that prior research had already shown that pomegranate juice can reduce inflammation. That’s key, because inflammation can lead to premature birth and can transmit to the baby, increasing the risk of brain damage and lifelong disorders such as cerebral palsy. 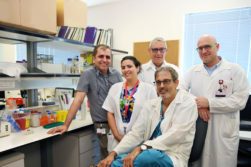 According to research done by Belooseky and his team, mothers drinking the juice of one of Israel’s Biblical seven species and commonly found freshly squeezed in Jerusalem could help prevent those defects. 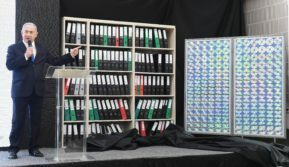 The United States is determined to push for what Secretary of State Mike Pompeo called “major changes” in the behavior of the Iranian regime—including their nuclear and missile activities and their support for terrorism—and so he recently announced the formation of the Iran Action Group at the State Department to focus on this effort. 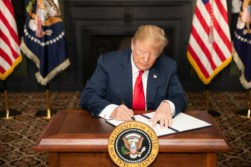 “Our hope is that one day soon we can reach a new agreement with Iran,” said Pompeo in a Department press release on August 16. In the wake of months of arson attacks against Israel by kites sent from Gaza, hundreds of rocket attacks from Hamas on Israeli civilians and regular Gaza border riots, the United Nations Secretary-General Antonio Guterres listed international troops as an option to defend the Palestinians—from Israel. 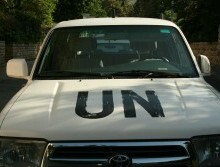 The Ma’an News Agency said that a report published on Friday by Guterres provided four possible methods to protect Palestinians—which the UN chief acknowledged is “highly complex.” One such option was armed UN peacekeepers or troops from “like-minded states” under a UN mandate to provide “physical protection.” Other options included additional aid and UN observers. Israel’s defense budget will need to grow over the next decade to address the wide range of threats facing the nation—including funding missile defense—as part of their “2030 security concept” announced by Israeli Prime Minister Benjamin Netanyahu on Wednesday. The security review considers the upcoming expected threats and as a result of those dangers calls for a larger budget for Israel’s defense. Netanyahu, according to a press release from his office, plans to increase Israel’s security budget by 0.2-0.3% of Israel’s overall economic output, or Gross National Product (GNP), with the goal for the budget to eventually average 6% of GNP. 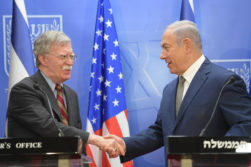 Israel would have multiple plans for spending the monies, including “Major power-level cyber capabilities”, enhanced offensive abilities to take the fight to the enemy and improving anti-missile defense.